JOCS > JOCS > 2019 New Year Greetings! Best wishes for a Happy New Year! Once again, I am committed to doing my best for the further development of the Japan Oil Chemists’ Society (JOCS) in the year ahead and would ask for your continued support of our membership. Looking back over the past fiscal year, we recall the sudden passing of the head of the secretariat, Mr. Kazuhiko Kuwata. We were incredibly shocked at this unexpected loss, and I would like to offer our sincere and heartfelt condolences. The burden of filling the void left by Mr. Kuwata’s passing has fallen to Dr. Tanaka and the rest of the administrative staff as well as our committee members, particularly the committee chairs. I would also like to take this opportunity to express our thanks to the former head of the secretariat, Mr. Kiyomiya for his loyal support as a volunteer. 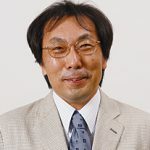 Dr. Yukihiro Kaneko stepped in last November as Mr. Kuwata’s successor. With the cooperation and support of the new secretariat, I would like to pursue Secretary Head Kuwata’s intention to remodel our Society, in particular, by modernizing the way our Annual Meeting is planned and managed as well as its financial situation. Turning to our annual meeting, which represents our Society’s most important activity, we are gradually implementing measures to realize the efficient planning and management of an engaging Annual Meeting through the efforts of the Annual Meeting Reform Promotion Committee. I am told that a definite reform plan will be put into practice following next fiscal year’s Annual Meeting. The 57th Annual Meeting of the Japan Oil Chemists’ Society was held last fiscal year at Kobe Gakuin University thanks to the key role played by Prof. Nagao Totani. While the first day of the meeting was canceled due to a typhoon, as you are aware, the oral presentations, poster presentations, JOCS-AOCS Joint Symposium, and other events proceeded smoothly from the second day, bringing the meeting to a very successful conclusion. Even though the predicted path of the typhoon was issued as much as a week before the Annual Meeting, we did not believe that we would end up in its direct path. I received an e-mail from Prof. Totani asking for advice about the schedule late Saturday night (three days before the Annual Meeting). After frequent discussions by the Annual Meeting Executive Committee, they made the difficult decision on Sunday to cancel the first day of the meeting. Although I was safe in my hotel room in Kobe when the typhoon struck, I had a real sense of the typhoon’s ferocity from the shaking of the building, and I was truly grateful for Prof. Totani’s sound judgment in canceling the first day of the meeting. Also, while a JOCS-AOCS Joint Symposium was held as part of the 57th Annual Meeting, some AOCS members had trouble making it to the venue. However, their smiling faces conveyed that the event was “a conference presentation they would never forget,” and this was a great relief. One of our laboratory students who left Tokyo on the morning of the day that the typhoon caused landfall did not arrive at Shin-Osaka Station until midnight. Finally, although he stayed the night on the Shinkansen before he made it to the conference venue, he said it was a good memory. During this fiscal year, the 58th Annual Meeting is scheduled to be held at the Tokyo University of Marine Science and Technology from September 24 to 27 (Conference Chair: Prof. Naohiro Goto), and I hope that the event will be brought to a successful conclusion with everyone’s active participation. The sites of future annual meetings, as well, have nearly been finalized. In fiscal year 2020, our Tokai Branch will meet at Gifu University, while the Kansai branch will meet at the Kochi University of Technology in 2021. Moreover, 2022 marks the Society’s 70th anniversary. As the conference chair, Prof. Kōichi Asakura of Keio University, has been suggesting potential sites outside of Tokyo that have never hosted the conference, for example Kushiro in Hokkaido. I think we can all look forward to this event. Last autumn, I had the opportunity to attend a celebratory gathering in honor of the 99th birthday of Emeritus Prof. Ayao Kitahara (an honorary member). Considering the constant stream of articles he has produced on the history of chemistry and his eloquent manner of speaking, I felt both amazement and a sense of longing as I wondered how old I might become while retaining such an articulate mind. While I believe that physical health is of paramount importance for sustaining healthy brain function, the truth of the matter is that I tend to get caught up in the hectic affairs of daily life, allowing days to pass without getting any exercise. With alcohol as well, I’ve developed the bad habit of overindulging, telling myself that just a little will be okay. This year, I would like to reconsider my lifestyle and dedicate time to taking care of my body so that I might keep my brain working even just a little longer. As always, I look forward to your support in the year ahead.